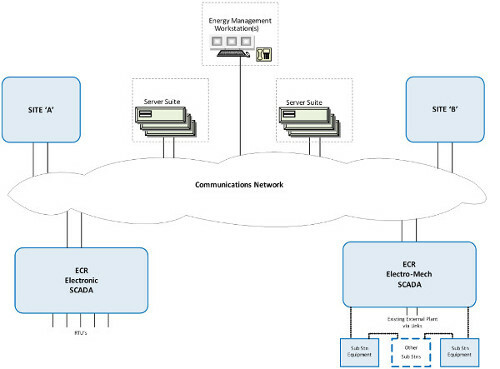 Traction Power SCADA is a fully integrated solution for communication, interfacing, monitoring, controlling and managing realtime SCADA systems. The object-oriented nature makes the system a robust, configurable, flexible and scalable product. At the core of Traction Power SCADA is Panorama E2 which is a proven SCADA application with interfaces to a range of PLCs (such as Mitsubishi, Siemens, ABB, Allen Bradley, Bosch, Cisco, Hirschmann, etc.) using open source communication protocols such as DNP3 Serial and Ethernet, SNMP, OPC, different variants of Modbus and U-Con (User-Configurable). The GUI is designed to represent the required functionality whilst optimising user interaction with the Electrification Plant Equipment. 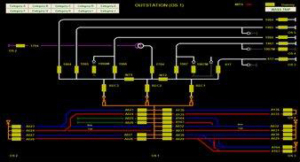 User interaction to Traction Power SCADA is enhanced by a simple navigation structure. This includes navigation for control, monitoring and managing the entire plant. The GUI design of the plant elements are designed to client preference, relevant specification(s) and mandatory standards. The core of the RTU is based on the Mitsubishi Q series PLC which has many advanced functions, high availability, modularity and low maintenance costs. If distributed I/O is required for interfacing with Controllable Track Switches or Motorised Switches, SELLA CONTROLS achieves this with the Traction Power MSC device which is designed to replace life expired point to point solution and provide remote control of these distributed devices.